phat catholic apologetics: Immaculate Heart of Mary, Pray for Us! It is undoubtedly fitting that after celebrating the Sacred Heart of Jesus we should, the very next day, celebrate the Immaculate Heart of Mary. Her heart is indeed most pure, and it burns for the conversion of souls to her Son. For more on the Immaculate Heart of Mary, see the articles below. O heart most pure of the Blessed Virgin Mary, obtain for me from Jesus a pure and humble heart! 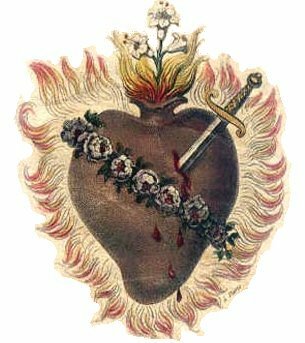 As for my own meager attempt, see Defending the Immaculate Heart.